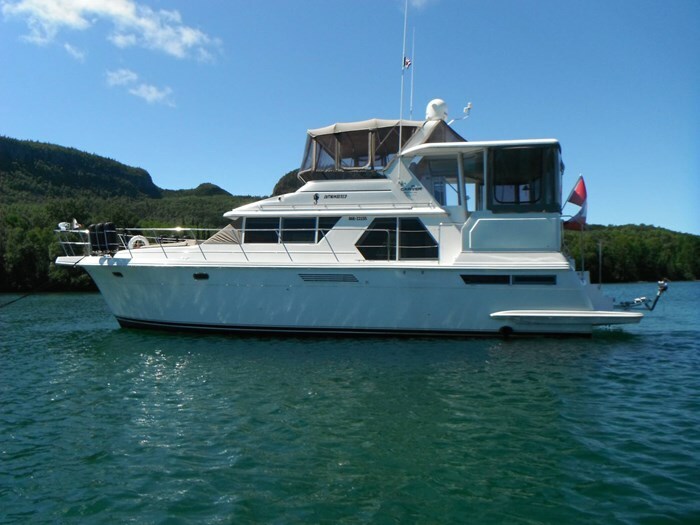 What a beautiful example of the legendary Carver Aft Cabin Motor Yacht. 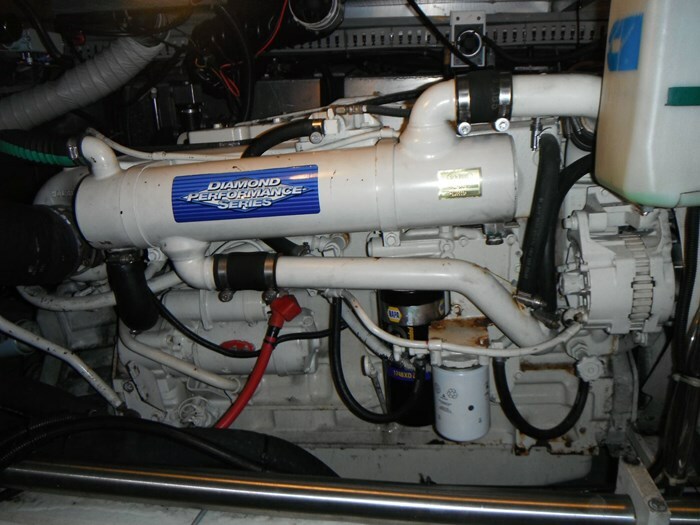 This 445 has been dialed right in and has been well cared for by the owner. 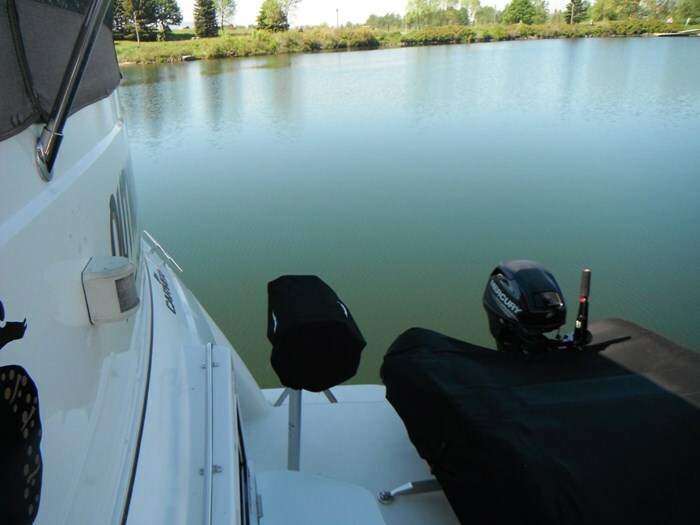 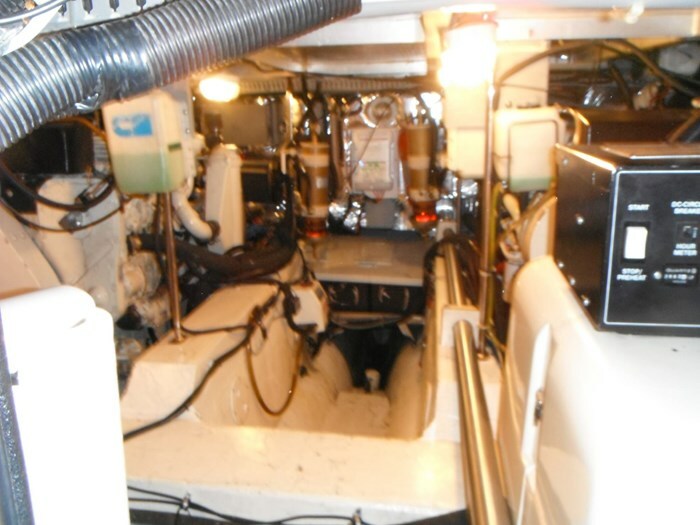 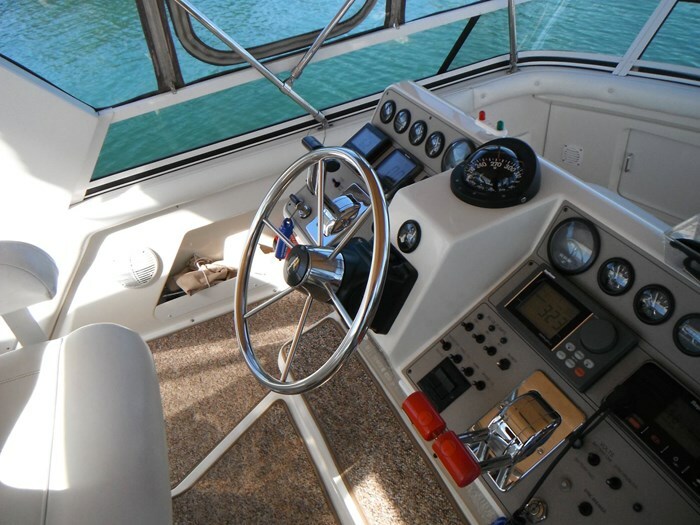 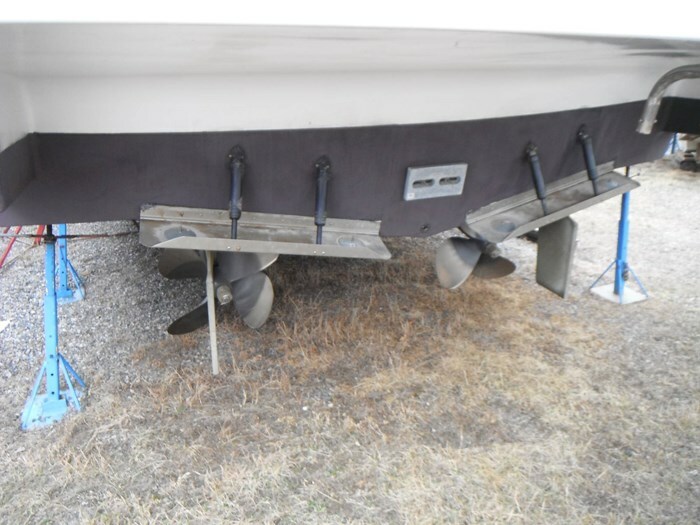 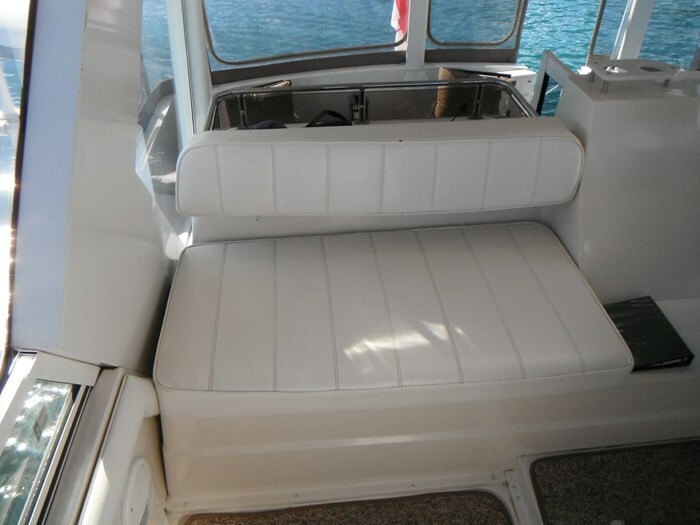 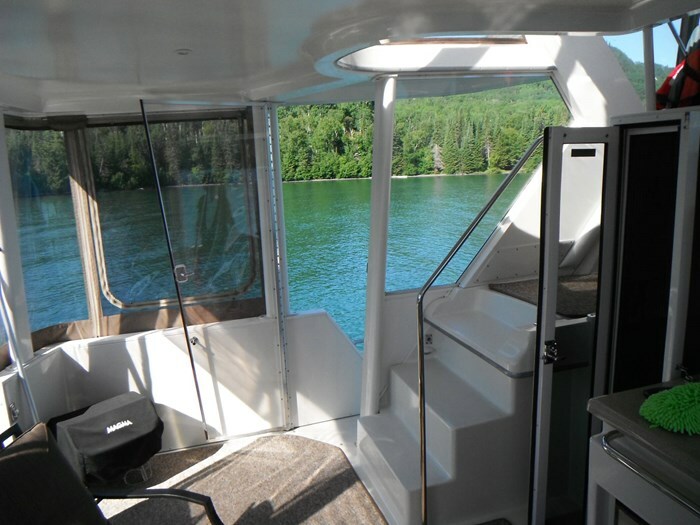 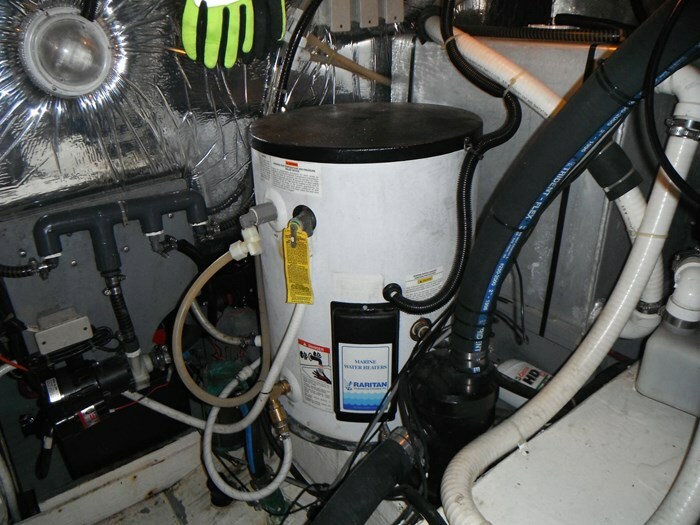 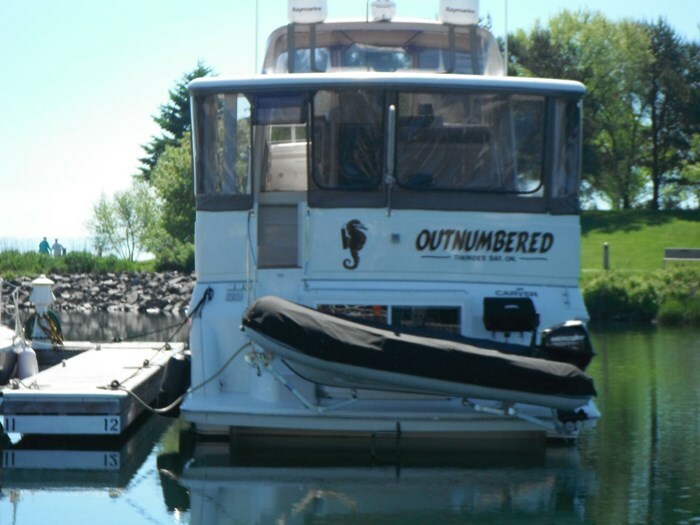 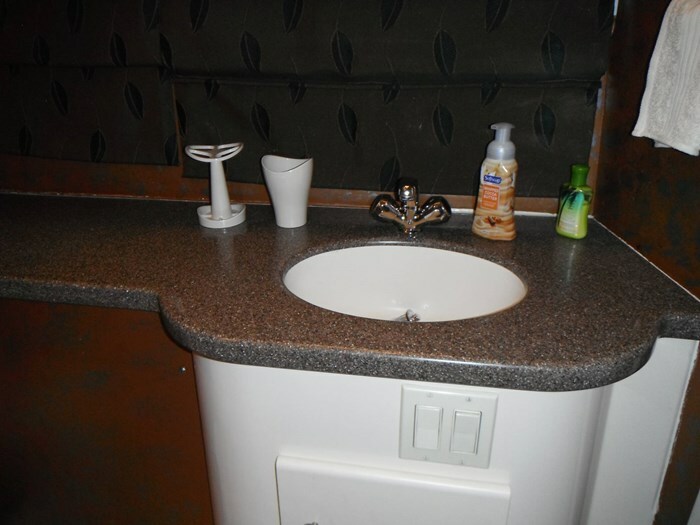 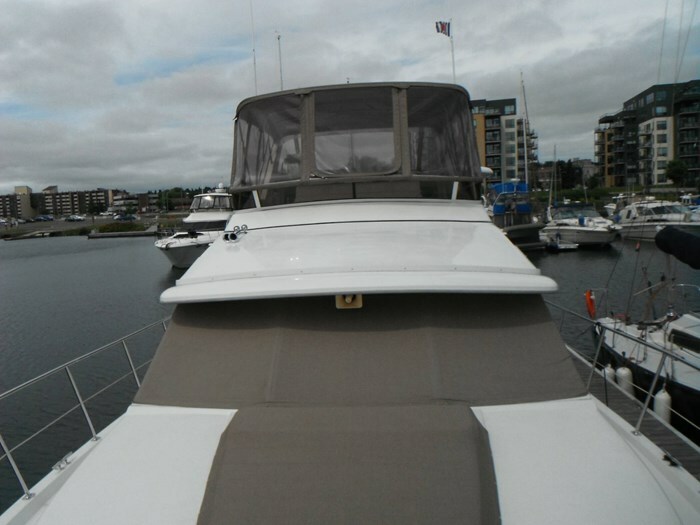 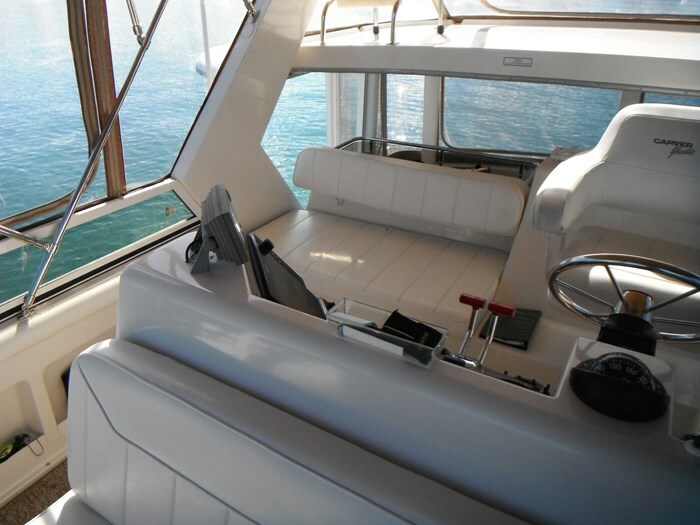 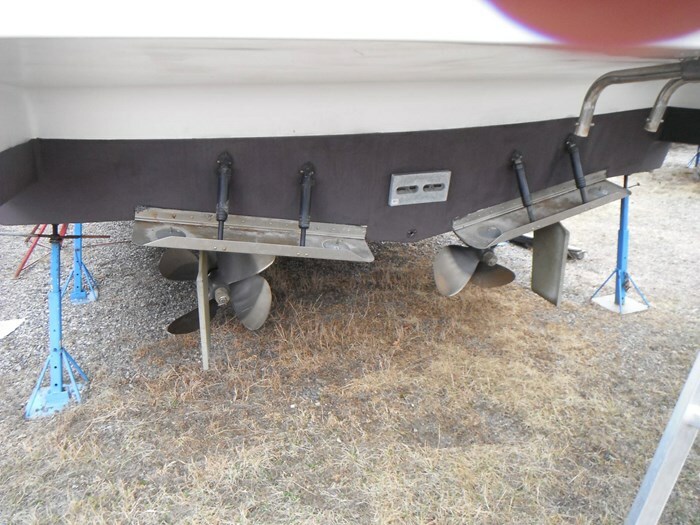 With lots of upgrades this boat is fully turnkey and is ready to go. 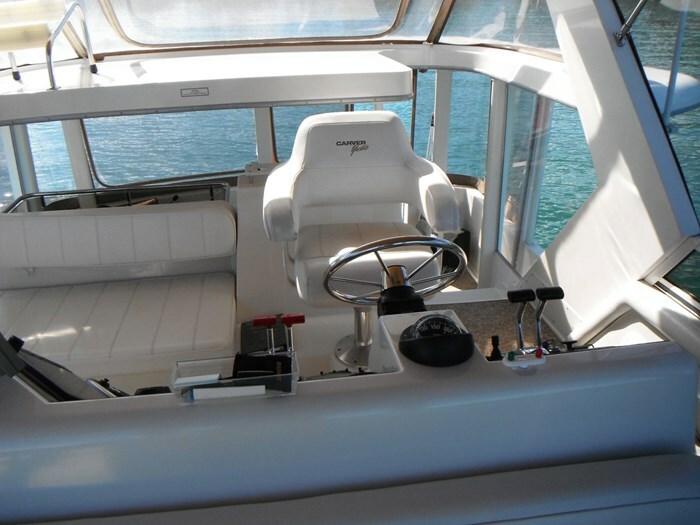 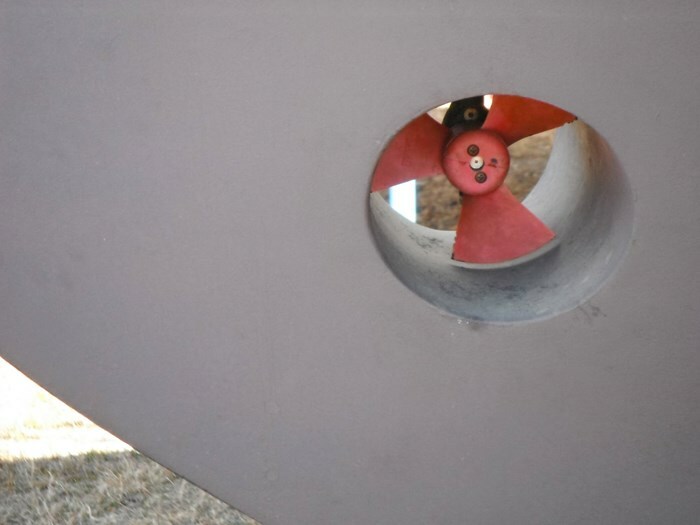 Have a look at the photos, they were just taken, and you can see the boat shows pride of ownership and extreme attention to detail. 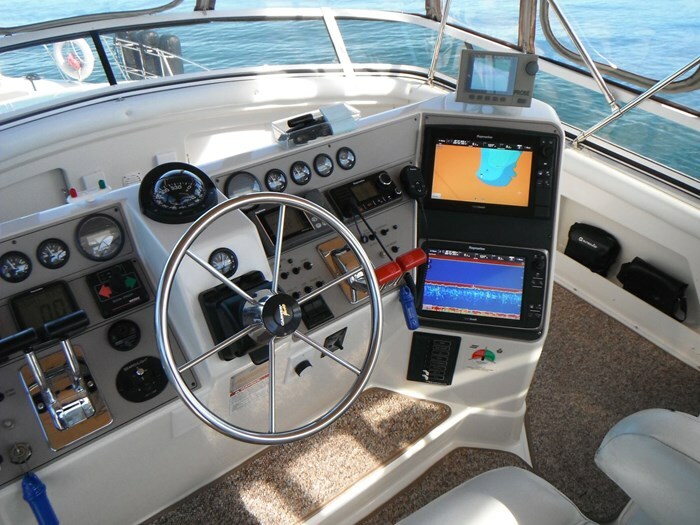 Autopilot, Chart Plotter, Compass, Depth Sounder, Navigation Lights, Radar, VHF Radio, Remote Spotlight, Forward Scanning Sonar. 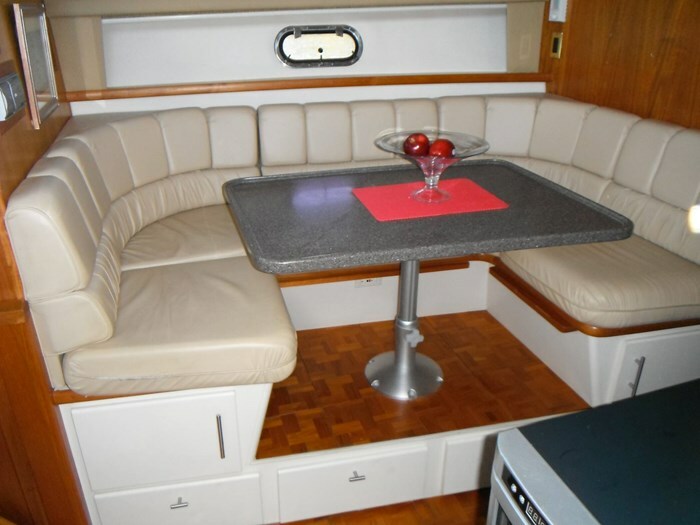 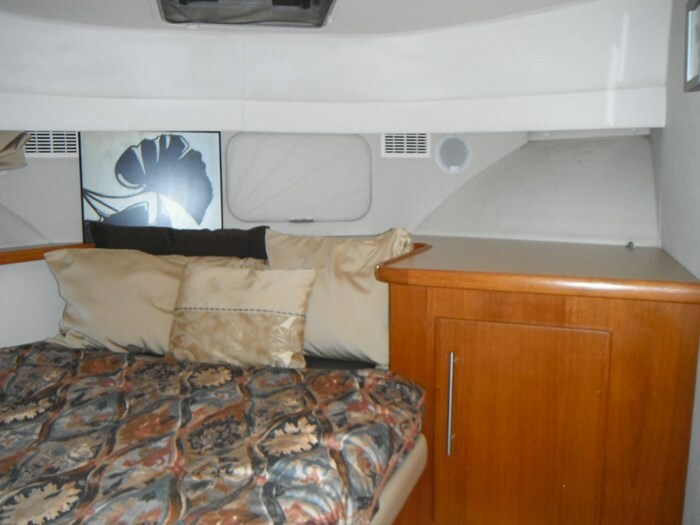 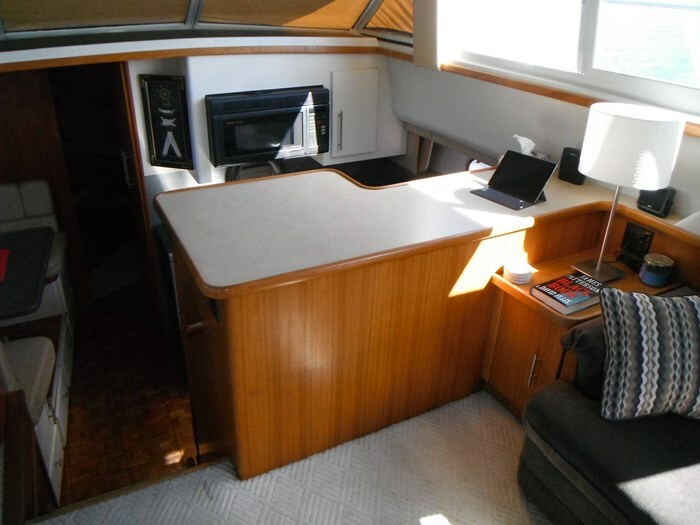 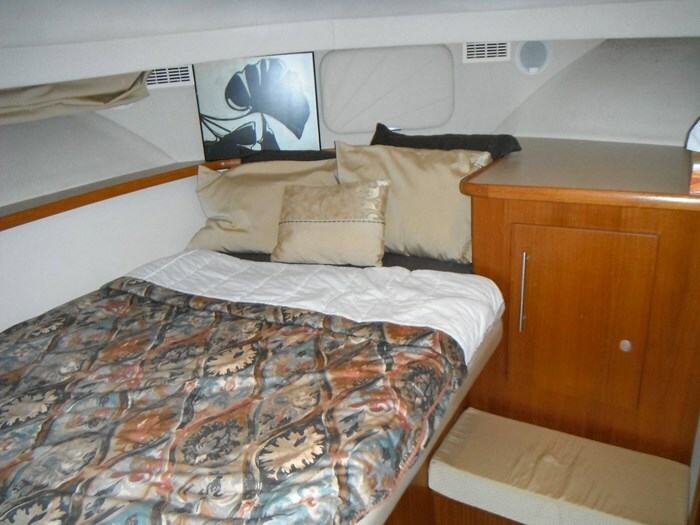 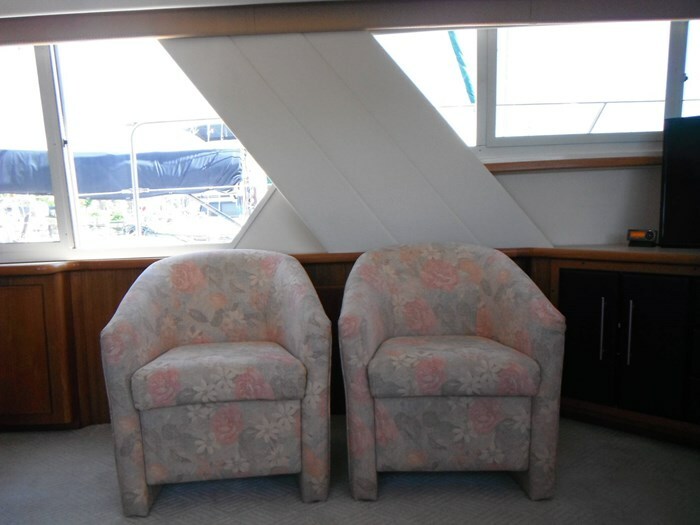 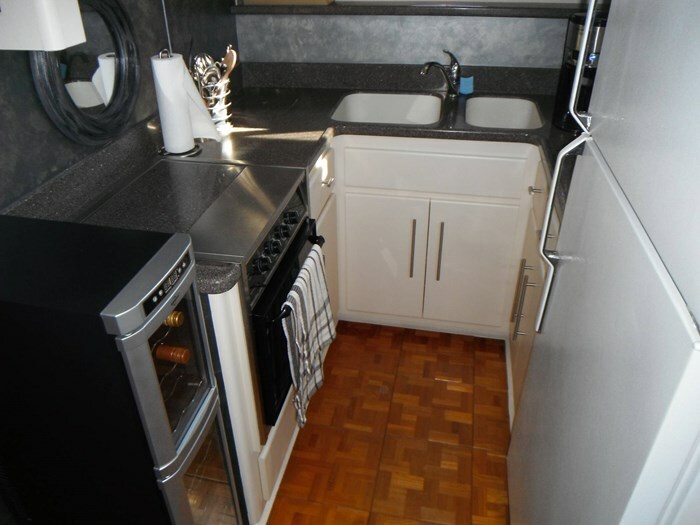 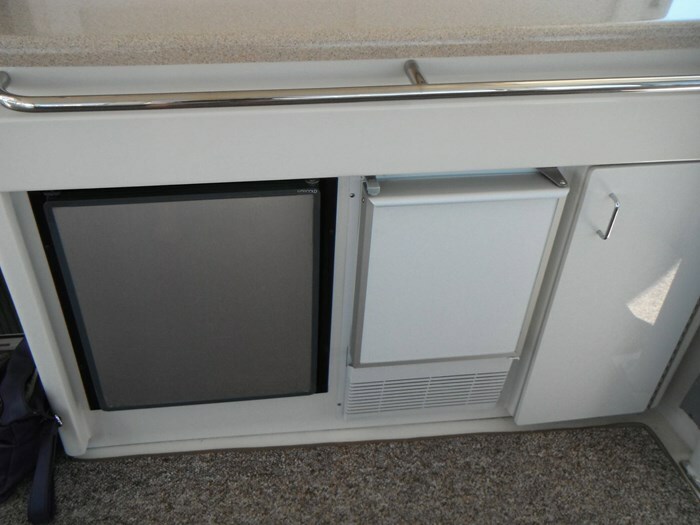 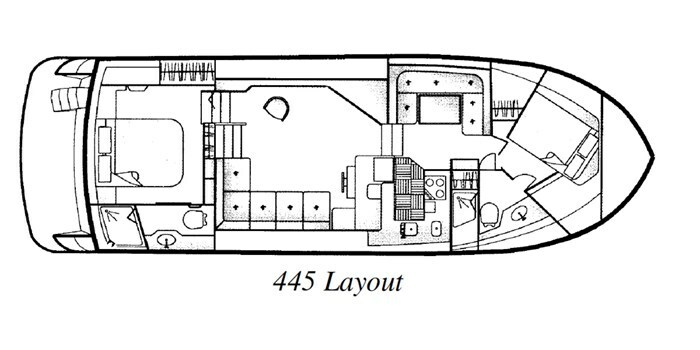 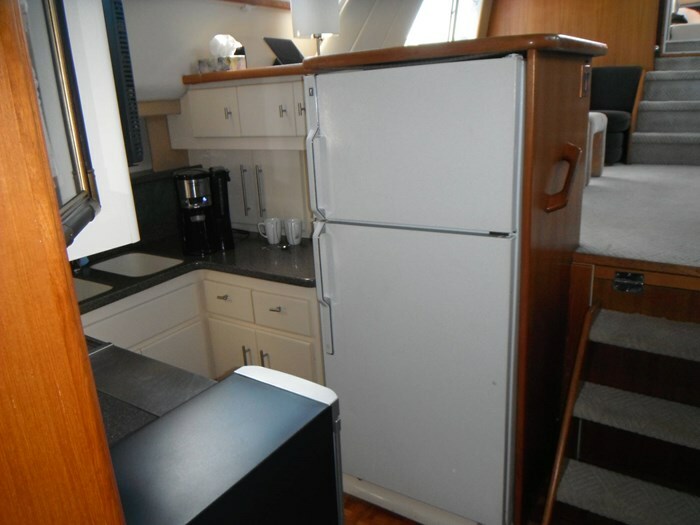 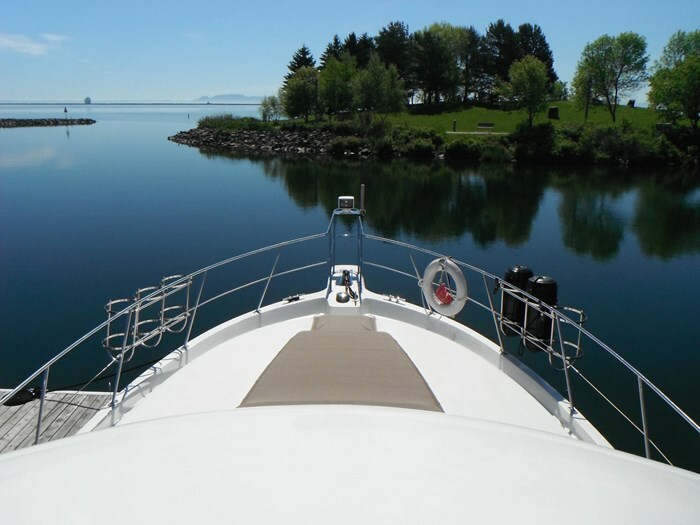 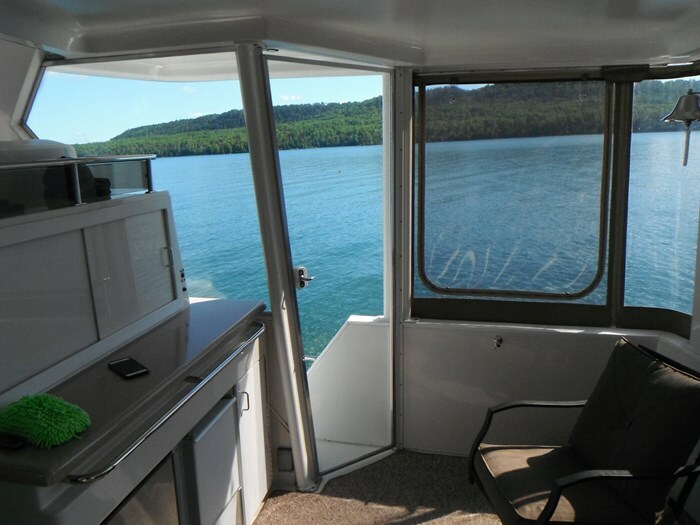 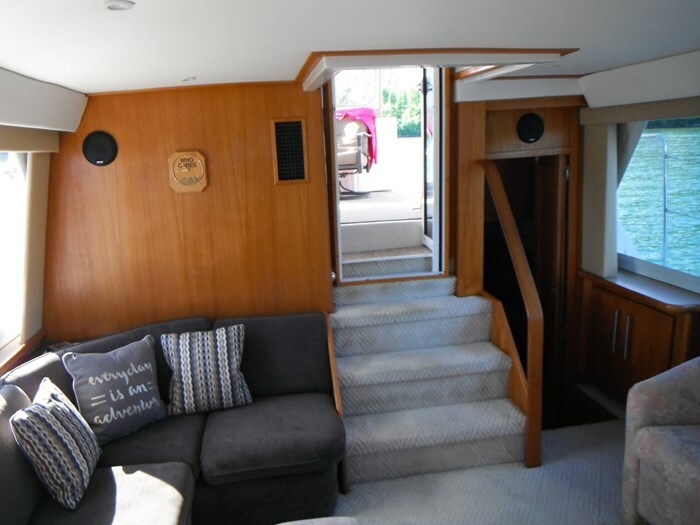 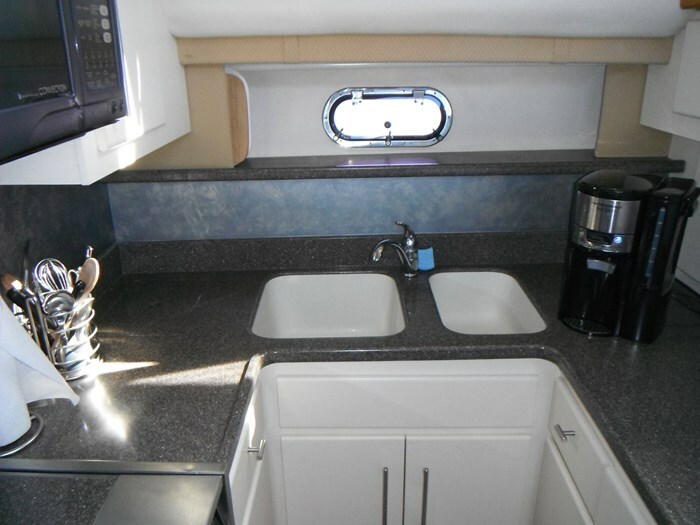 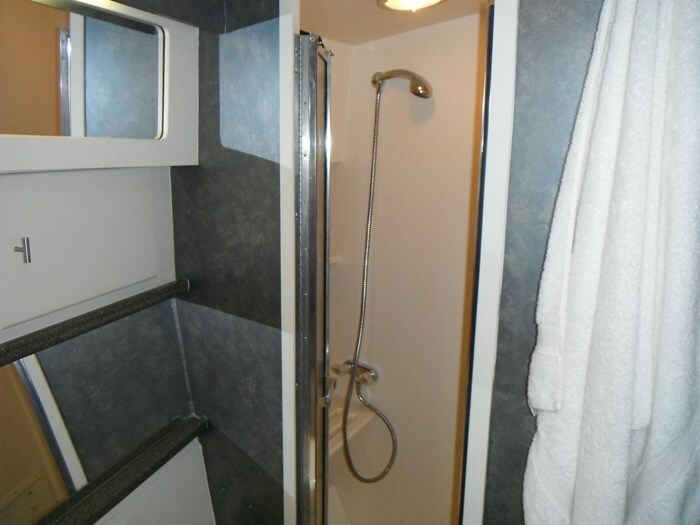 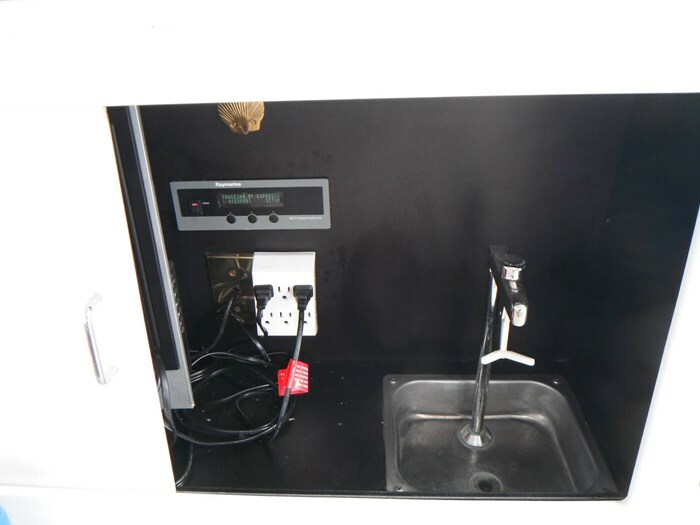 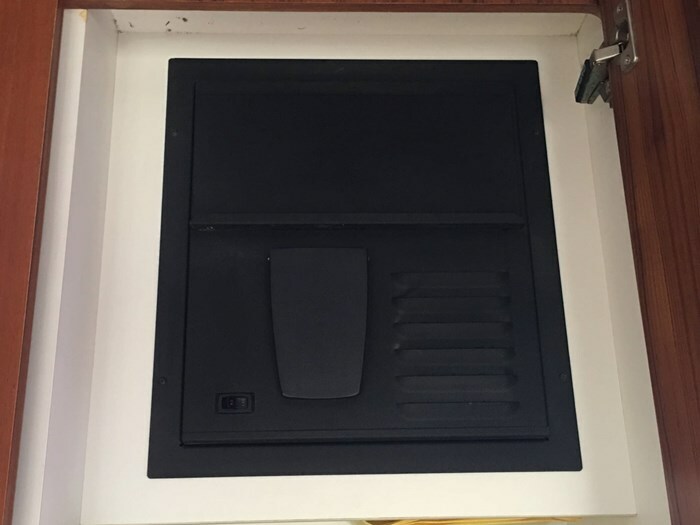 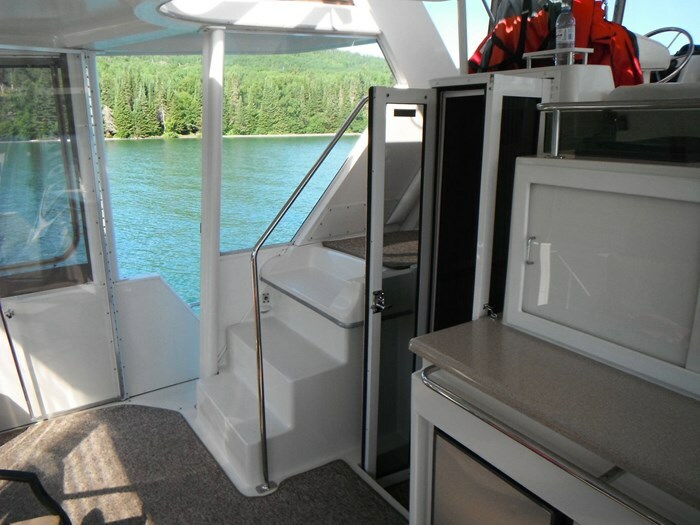 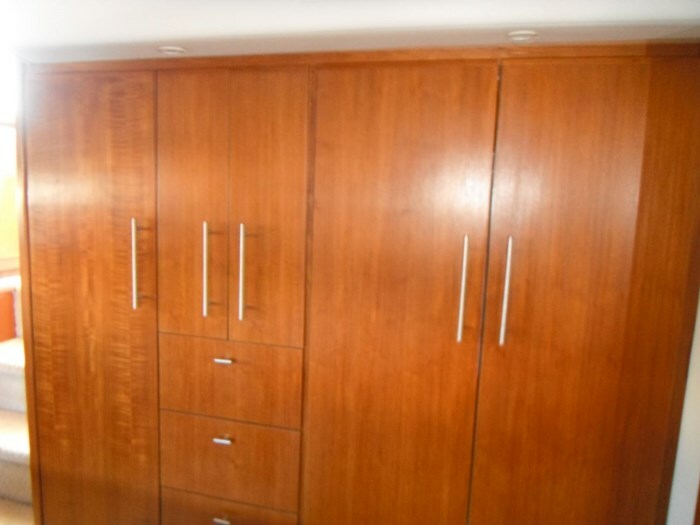 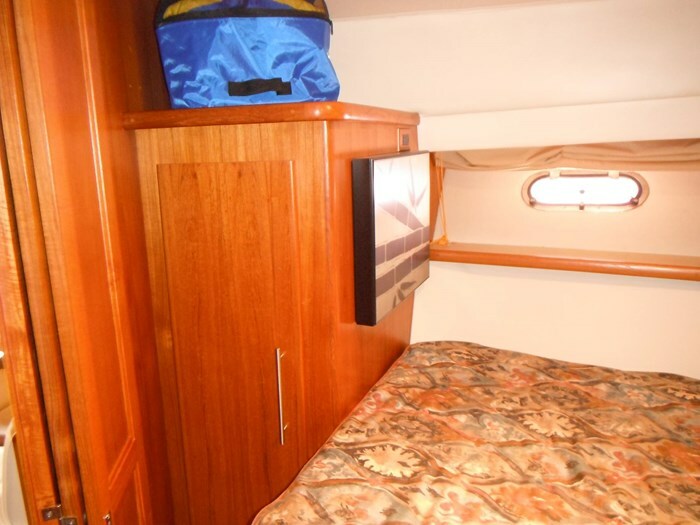 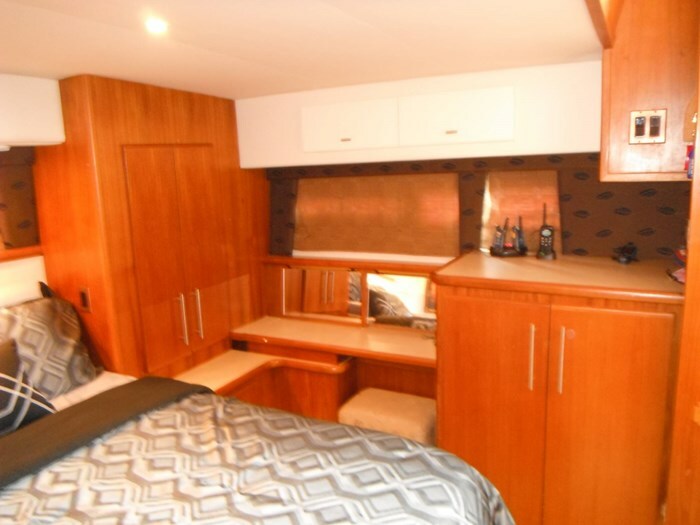 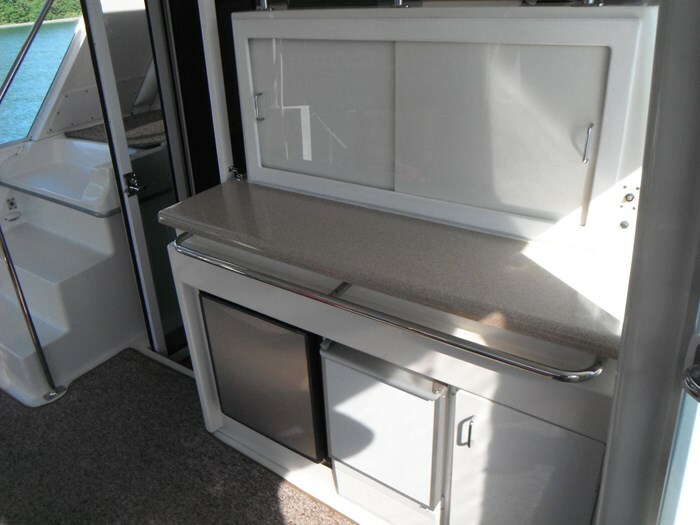 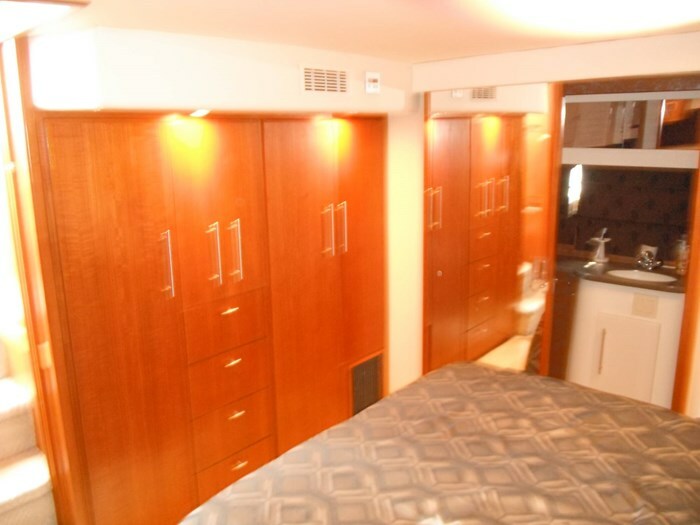 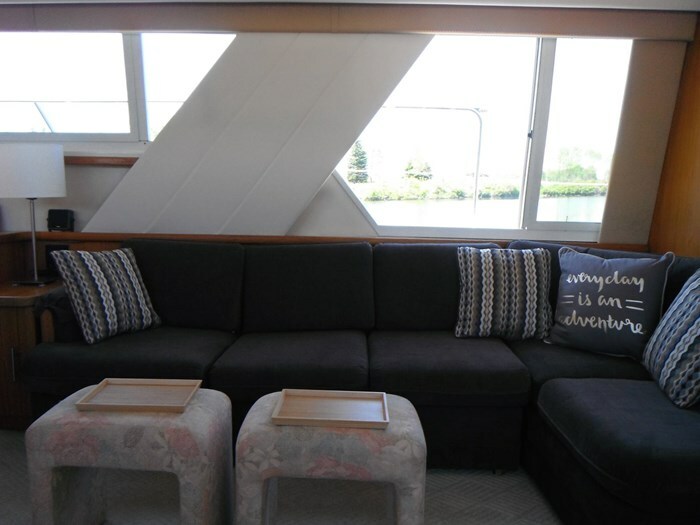 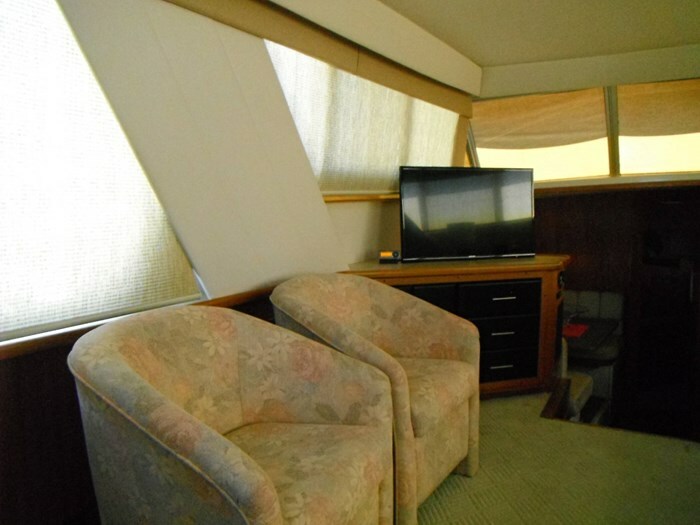 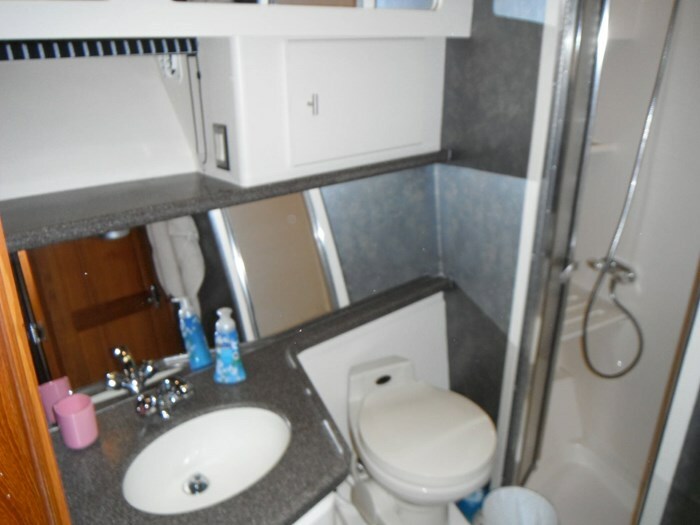 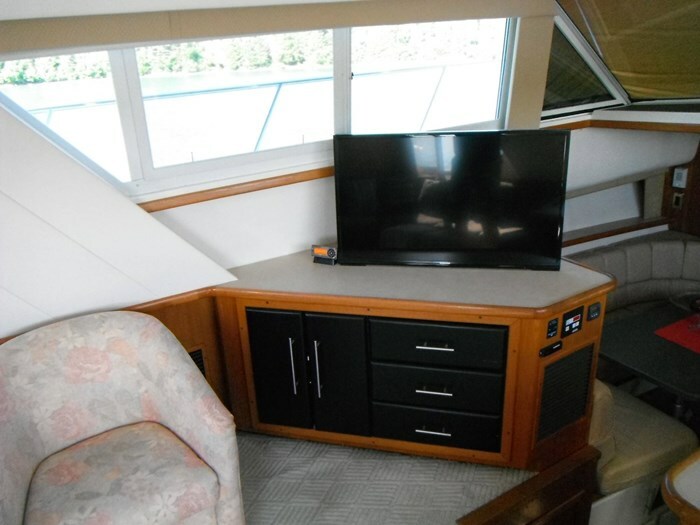 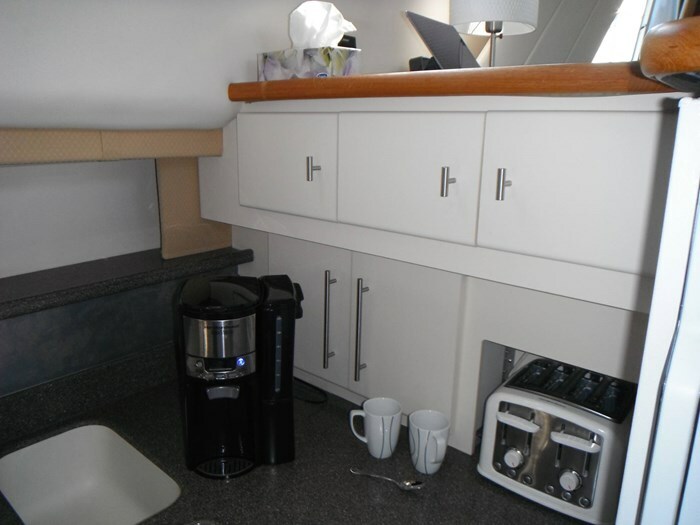 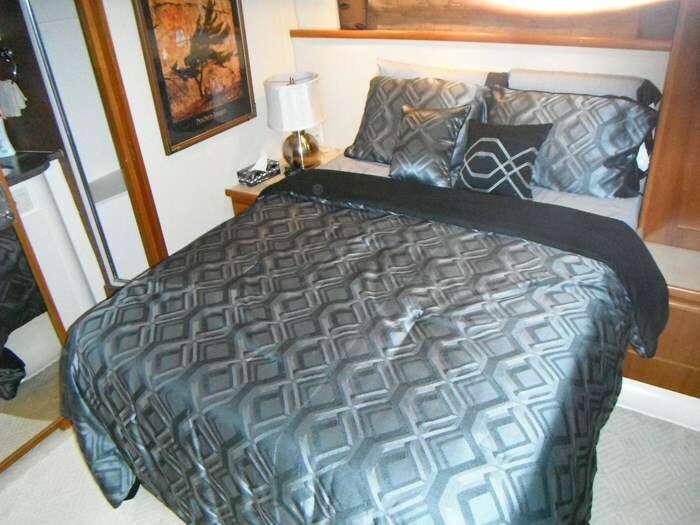 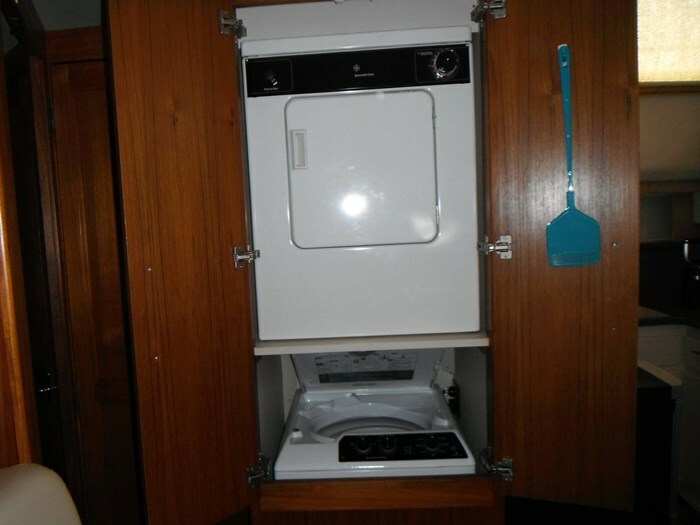 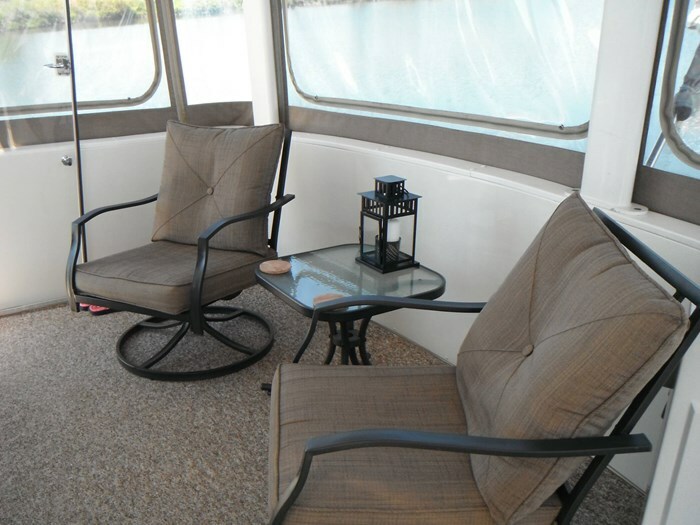 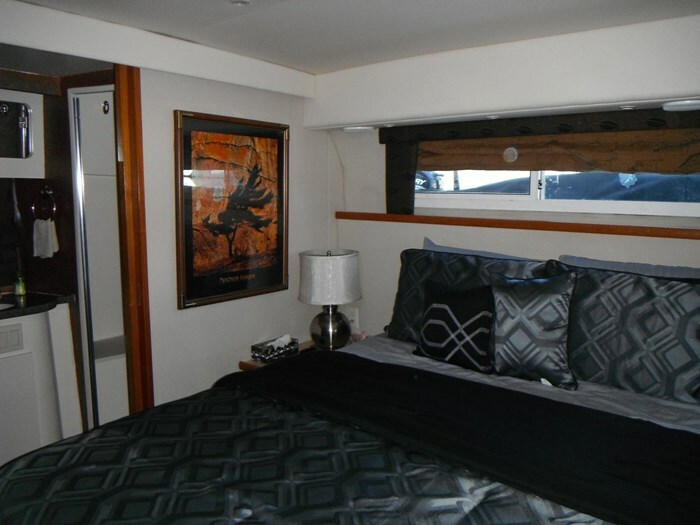 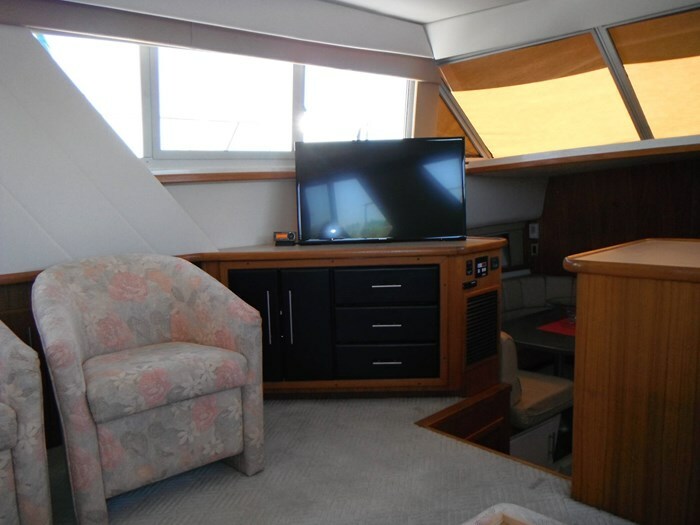 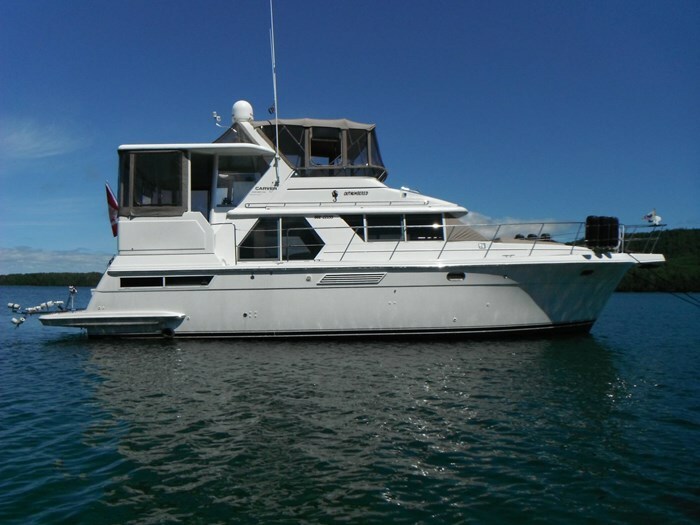 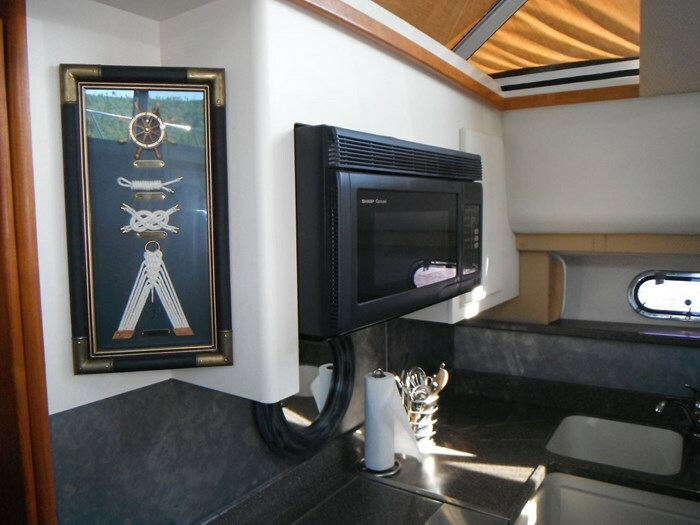 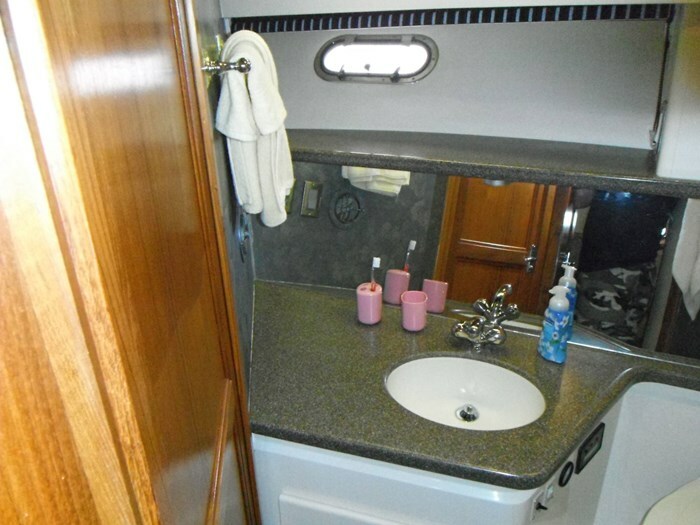 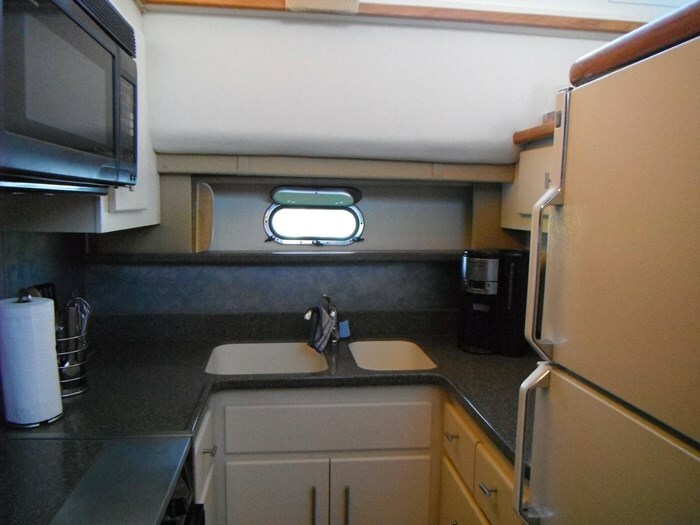 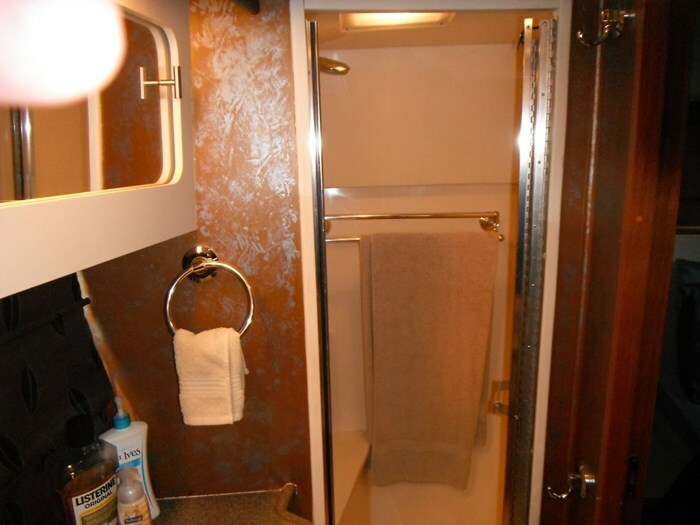 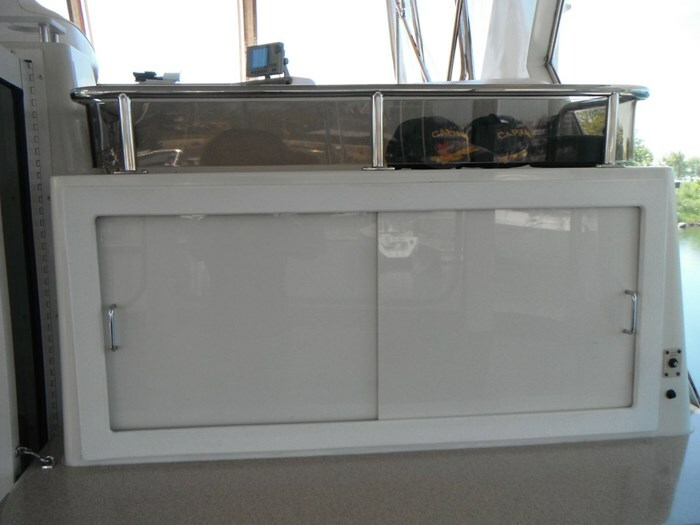 Barometer, Cabin Carpet, Cabin Lighting, Curtains, Deck Hatch, Dry Bar, Hanging Locker(s), Mini Blinds, Port Hole(s), Salon Chair, Salon Sofa, Salon Sofa Bed, Galley - Coffee Maker, Galley - Dinette, Galley - Fridge/Freezer, Galley - Microwave, Galley - Oven, Galley - Sink(s), Galley - Stove, Head (Master) - Exhaust Fan, Head (Master) - Mirror, Head (Master) - Shower - Stall, Head (Master) - Vacuflush, Head (Master) - Vanity, Head (Guest) - Exhaust Fan, Head (Guest) - Vacuflush, Head (Guest) - Shower - Wet, Head (Guest) - Vanity, Head (Guest) - Sink, Head (Master) - Sink, Innerspring Mattress(s), Linens, Convection / Microwave, Bar, Galley - Convection, Head (Guest) - Mirror, Stereo System, Blinds, Dinette, Entertainment Centre, Lighting, Stateroom - Guest, Stateroom - Master, Flatscreen TV. 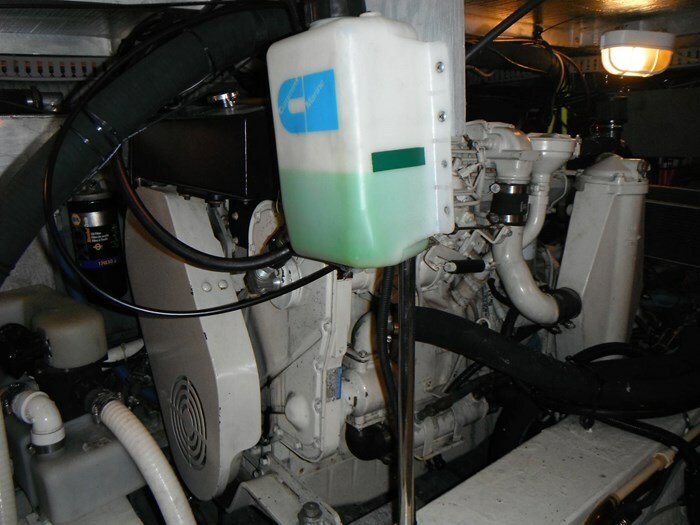 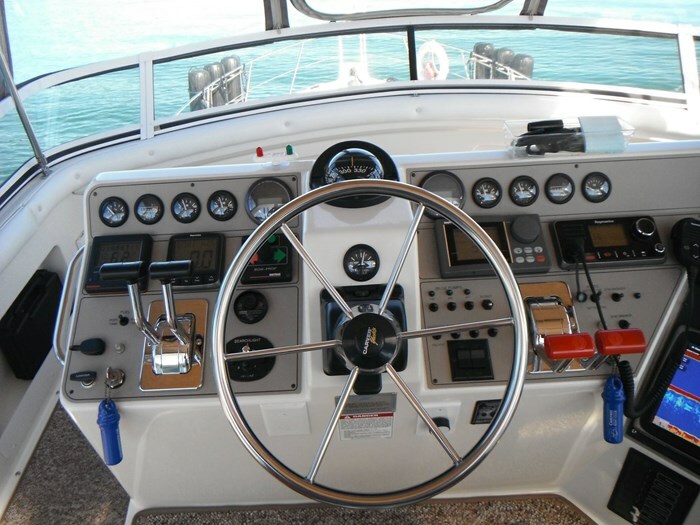 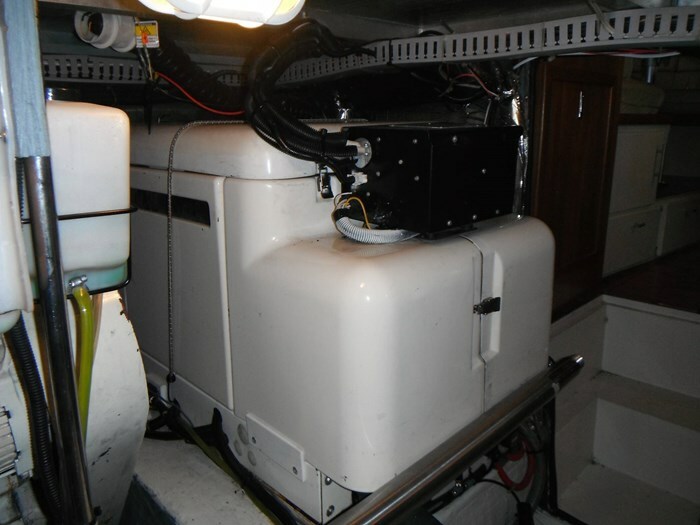 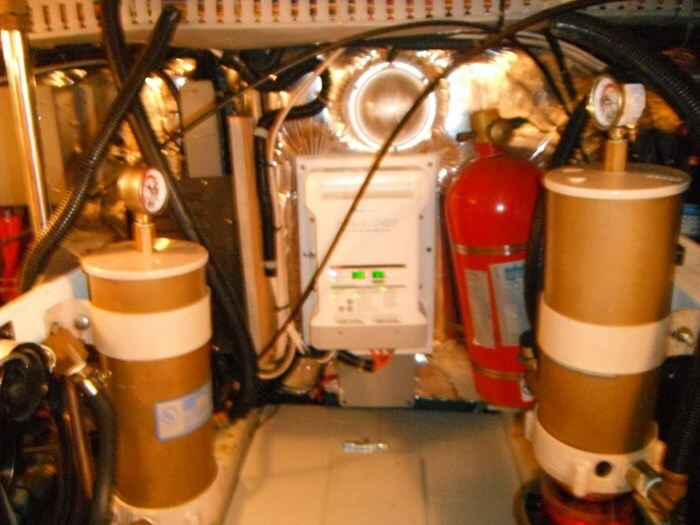 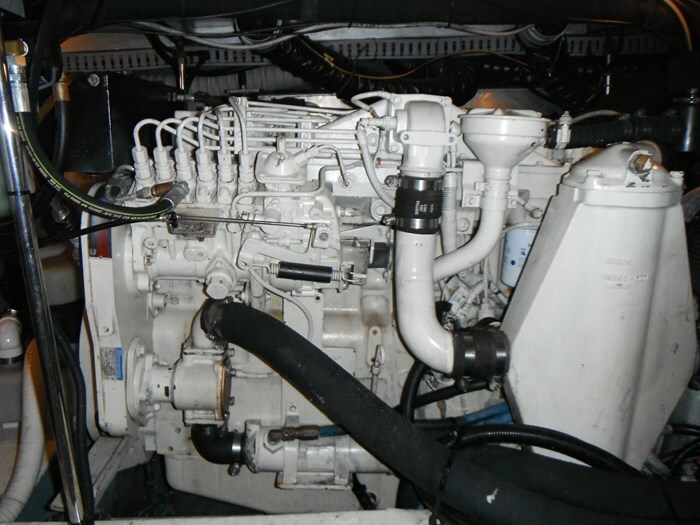 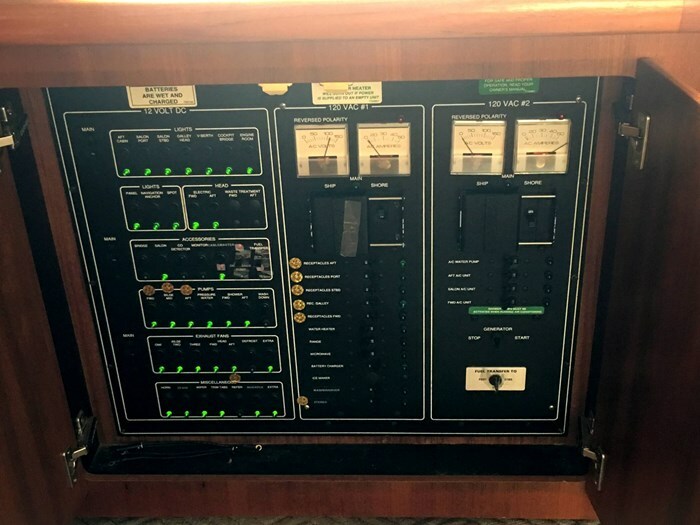 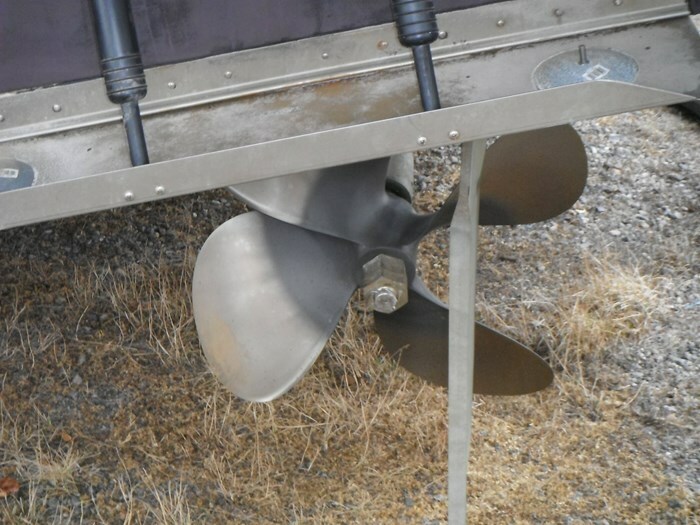 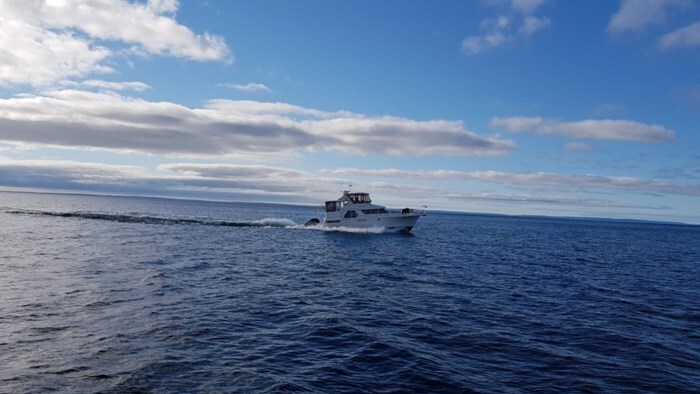 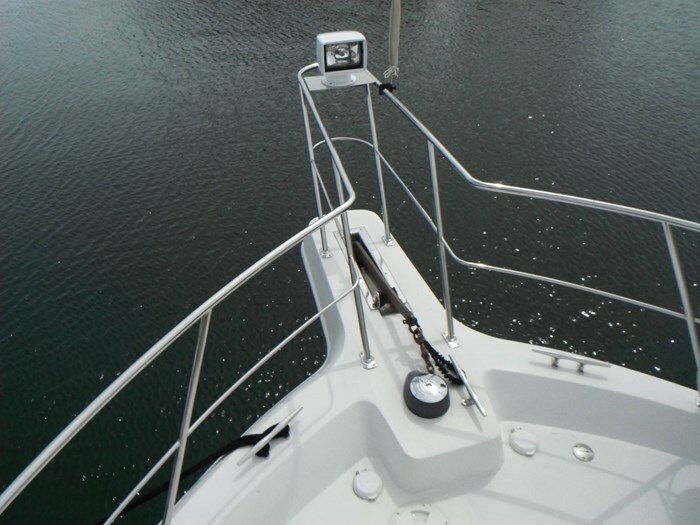 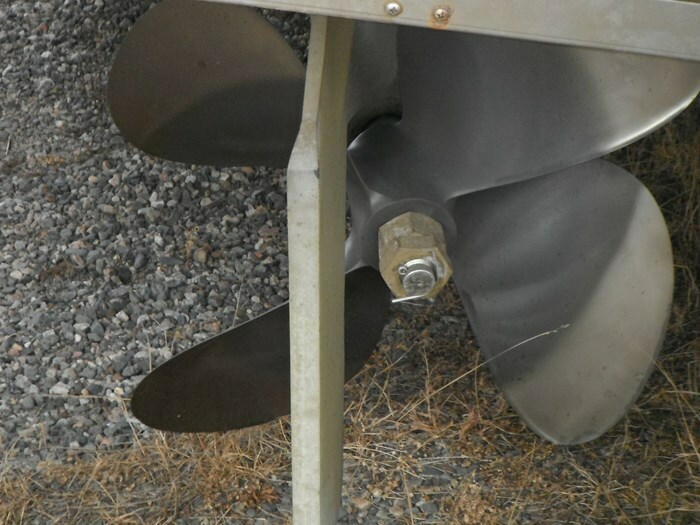 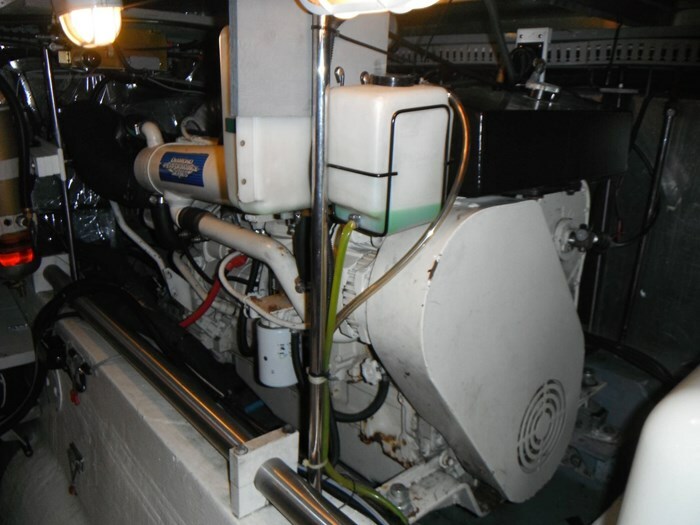 12VDC Systems, 120VAC Shorepower, Hour Meter(s), Automatic Halon, Battery(s), Battery Switch(s), Battery Charger(s), Bilge Blower(s), Bilge Pump(s), Bow Thruster, Dockside Water, Generator (Diesel), Heat Exchanger, Inverter System, Reverse Heat/Air, Hydraulic Trim Tabs, Washdown (Fresh), Central Vac, Washer/Dryer, Fuel Crossover System, Satellite TV System, Anchor Windlass, Fuel Selector Valve, Hot Water Heater, Pressure Water, Shore Power Cord, Shower Sump , Waste Level Gauge, Water Level Gauge. 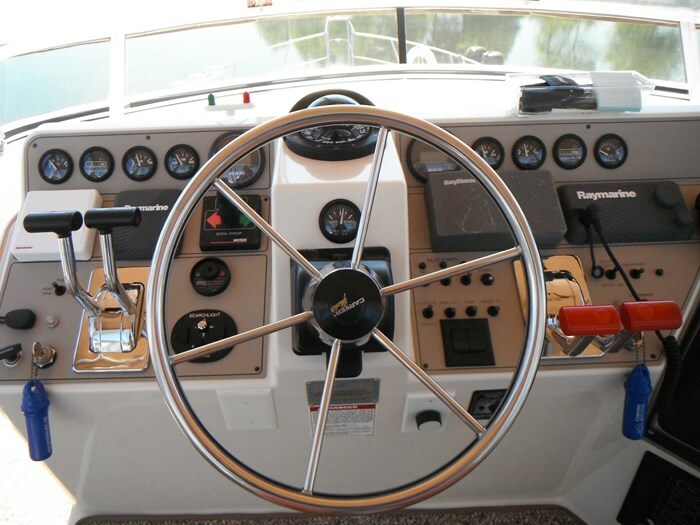 CO Detector(s), Fume Detector, Anchor, Anchor Rode, Dock Lines, Fenders, Flares, Heaving Line, Life Jacket(s), Manual Bilge Pump, Pike Pole(s), Ring Buoy(s), Anchor Windlass, Bailer, Boat Hook, Fender Lines, Fire Axe, Fire Ext - Automatic, Fire Ext - Handheld, Mooring Lines.